I'm a Norbyah: Travelogue with Louella Odie: On Wisconsin! Travelogue with Louella Odie: On Wisconsin! Being here in Madison this week, in our own home, has been so blissful. When we first arrived, I felt so happy with how slow and relaxing the days felt. Now all of a sudden, I feel like the days are running by too quickly. I wish we were staying here longer. Still, we have next summer to look forward to. Only slightly more wonderful than feeling at home is showing our kiddos our Madison, where we all started as a family. Our two bigs were born here. We've come back for short visits every summer, and they know all our stories of life in our old house. They asked us to drive by it and through our old neighbourhood, too. The Madison Farmers Market is definitely a summer highlight. Fresh produce grown organically at local farms in the area, local bakeries, honey, maple syrup (and my favorite maple candy) alongside flower and garden stands, street performances and other artisans selling their wares. We've enjoyed fresh lunches nearly everyday from the produce we bought at the market. Madison is also extremely bike friendly. The bike paths will take you just about anywhere in the city and locals use them more than they use their cars. I love being here and being in touch with people who are so progressive in their thinking; about the environment, about gay rights, about education...I feel so connected. The other day, we took the kiddos for a walk up State Street, up to the University of Wisconsin-Madison (where I did my master's degree). 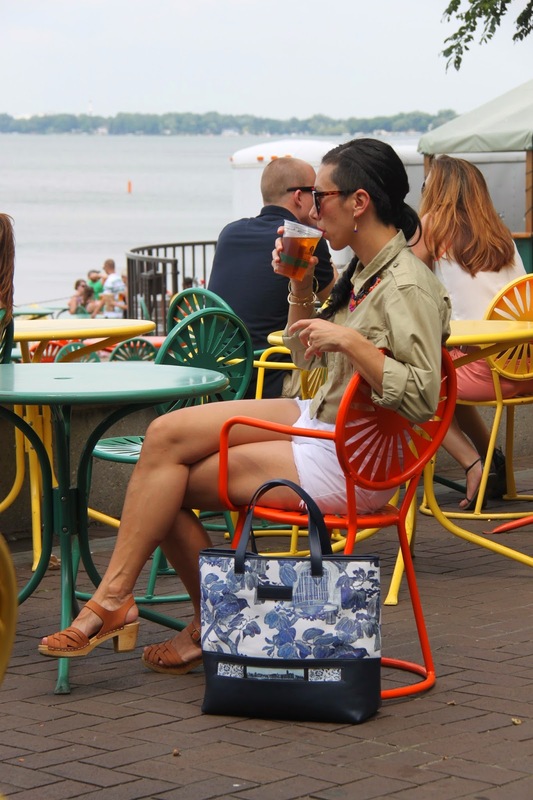 We popped over to the Memorial Union Terrace to enjoy the view of Lake Mendota and a cool craft brew. I am not normally a beer drinker, but something about summer makes me enjoy them. Maybe it's the selection, maybe it's sitting outside, maybe it's the pace at which I drink one...I don't know. I just love it. The Memorial Union Terrace has been around since about the 1920s and was built as a place for university students, faculty and the community to enjoy. In the summer there are live concerts and always, you can see people out sailing or basically enjoying the water in some way (swimming, feeding the ducks, paddling, waterskiing). One of the perks of being an alumni is a lifetime membership to the Memorial Union Terrace. I even have a card! The downtown area of Madison is actually an isthmus, so pretty much anywhere you are, you have a view of the water. 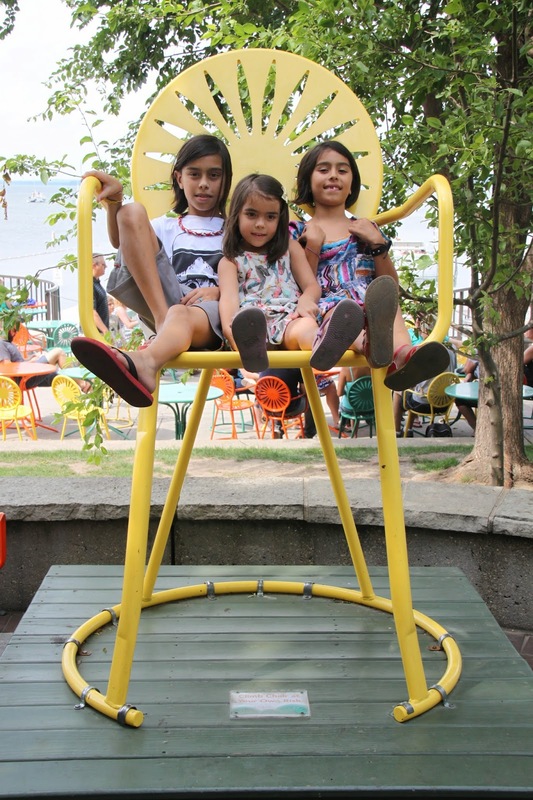 The Terrace also has these fantastic chairs in orange, yellow and green, which have become an iconic image for Madison. They provided the perfect backdrop for my Louella Odie Bauhinia bag. Don't forget to keep up with the map of my travels on the Louella Odie website, and remember that there's a discount code you can use, too. Type in 'traveltribe' at checkout to score yourself one of these beautiful bags, or browse their other accessories. 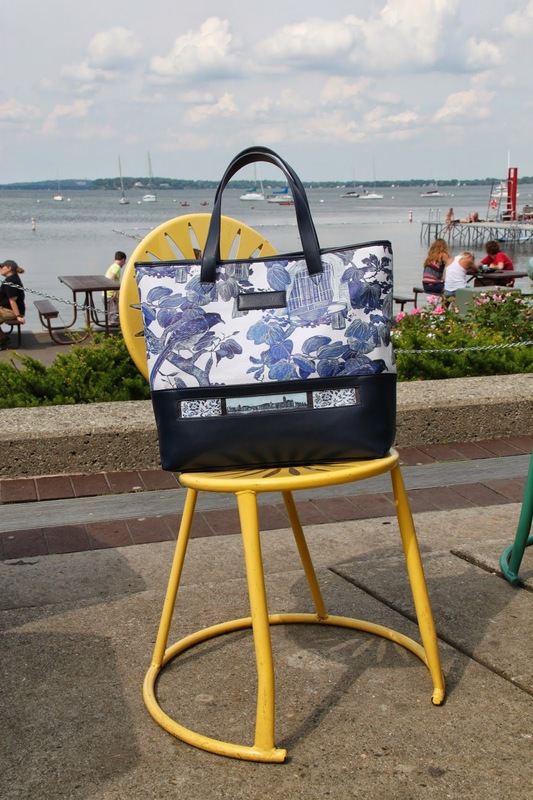 The Skyline handbag has been a hit, and there will not be many left, I am sure! Next up on our summer travel itinerary is a visit to NYC, which is exciting in a whole different way. We'll reunite with my sisters and parents, but for now I'm cherishing these last moments here. Because, when you say Wisconsin, you've said it all! (a tribute to my alma mater, listen here).